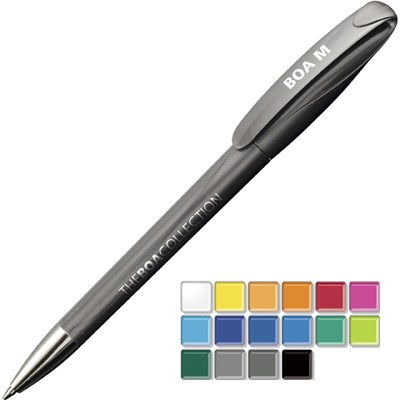 Description: A solid twist action plastic pen with a metal chrome nose cone. Both parts can be supplied in the colour blocks to the right. Black or Blue ink.